Tonight I am flying to Kunming, in Yunnan providence, south China. I have done very little research to prepare for this trip, but I'm excited to explore the Karst peaks in the national park. The Karst peaks in Wulingyuan, China were really beautiful, when I visited in November 2013. That was a great trip since I traveled on the American Thanksgiving weekend, and the national parks were empty! I don't anticipate this trip to be the same, since it is the Chinese Labor Day holiday, and many families will be fleeing the smog-filled cities to enjoy some nature. But whatever.. c'est la vie! I had about 8 minutes to pack my weekend bag this morning, and while normally I would have been panicking about said time crunch, I was able to pack in 6 minutes flat, thanks to this cool little application called "Triplist". 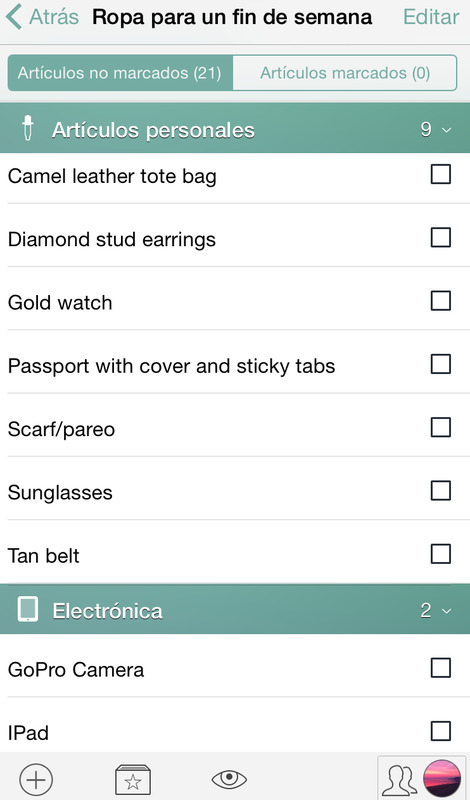 When I first downloaded the application, I input clothing and items that I had brought on a quick weekend trip to Hong Kong. Good thing I prepared the list in advance, because all I had to do this morning was open up the app and click the appropriate check boxes as I packed my bag. On the way back to Shanghai, I can re-click the items as I repack my bag on the return. This way, I don't risk leaving any items behind! PS It's so important to pack multi-purpose items! The pareo can serve as a airplane blanket, towel, beach cover up and scarf. The tote bag I mentioned above is reversible, camel color on one side, silver on the other, making it a great city bag or beach bag. The black dressy tank top I pack is reversible as well, black on one side, gray on the other. Finally, marking the passport with sticky tabs makes the customs process extremely easy and fast, so the officer doesn't waste time flipping through pages, to find visas. I hope you will find these tips useful when you need to pack for your next weekend trip!